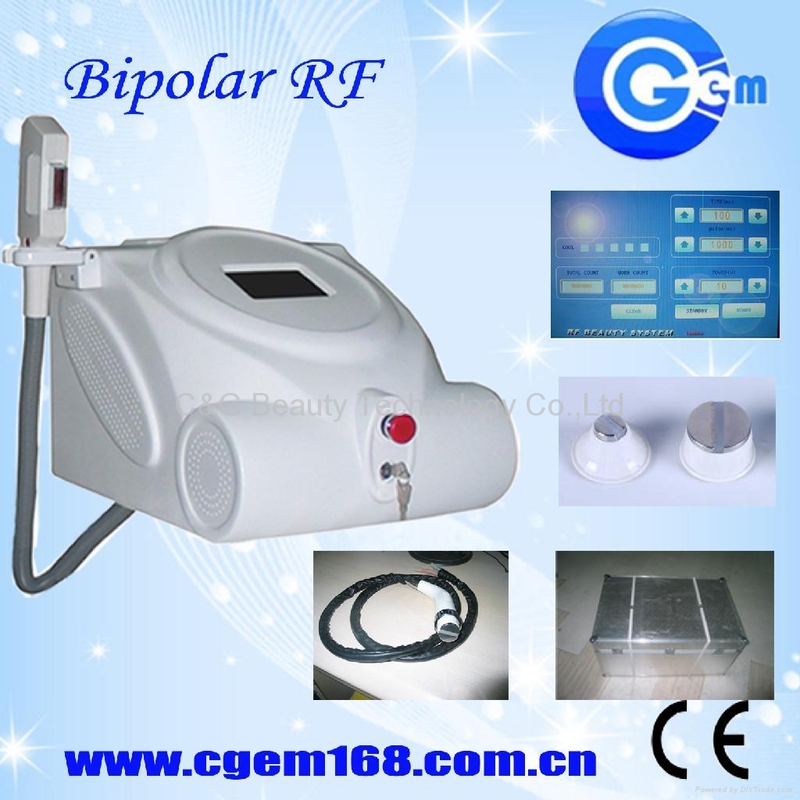 The Bipolar RF beauty equipment is the high-tech beauty equipment, great safety and no wound. The collagen is the main structure of skin. However, the collagen and elastin will reduce and lack because of sun oxidation and air pollution as the time flies ,Assustainment of skin, flexibility fibre and collagen fibre would gradually lose elasticity and tensility.Sagging skin,or other visible signs of aging will appear. 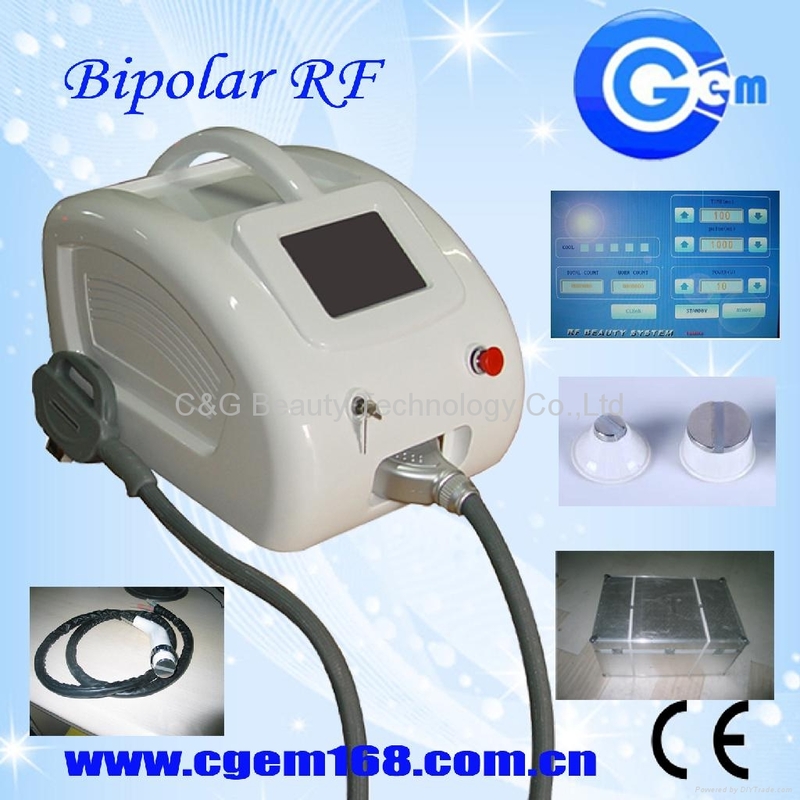 The Bipolar RF equipment with the cooling system in surface layer, uses proprietary technology to deliver radiofrequency energy to the collagen tissue of dermis layer. When deep collagen tissue is heated up to 45-60, it will naturally produce instant shrinking, stimulate to excrete much new collagen to make up interspace of the shrinking or lost collagen protein, and make them rearray, rebuilt skin soft bracket, finally get tight skin, remove wrinkle, recover skin elasticity and luster. ----------------------------------------------------------------------------------------------------- Special features 1. Collagen renewal: the RF energy could be reached the deep layers of skin, stimulating the collagen structure to renew. In response, the best result of tighter skin, renewed facial contours can be expected. 2. Treatment extensive: it could be applied to anyone’s sagging skin and aging skin. 3. Instantaneous shrinking skin: when the temperature of collagen up to 45o- 60o,the collagen will shrink instantaneously. Therefore, one time treatment could let u feel the best result. 4. Long renewal effect: after half years treatment, the renewal of collagen makes your skin activated. 5. Great safety: surface layer cooling makes the RF energy and its released speed could be controlled so as to make great safety during the treatment. 6. Comfortable: non-invasive radiofrequency technology, no blood, wound, or lay off. 3. the damage is caused by man In 5 years, we give free maintenance and repairing; only charge the cost of damaged parts. Send the broken parts or machine back to us.